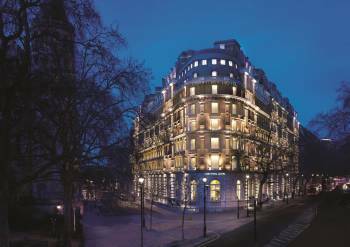 Corinthia Hotel London combines traditional grandeur with modern freshness, the luxurious property is ideally located in the heart of Westminster, overlooking the River Thames. With sumptuous accommodation, magnificent Penthouses, elegant dining and the Next Generation of Spa, this is London’s 21st century grand Hotel. The hotel’s guestrooms, suites and penthouse suites are among the most spacious in London. Each is imaginatively designed and furnished, blending sumptuous elegance with simple efficiency. In this way, understanding the modern traveller’s needs, we provide a hotel experience that is totally relevant to today. Our commitment to authentic craftsmanship and caring, world-class service gives Corinthia London the timeless appeal of a true classic. Spending time in the hotel also means being able to sample modern British cuisine at The Northall restaurant and southern Italian cuisine at Massimo Restaurant & Bar. Set in a space of iconic beauty spread over four floors, ESPA Life at Corinthia is quite simply the next generation of Spa. ESPA Life offers a fully integrated approach to wellbeing, with a large fully-equipped gym and extensive Thermal Floor featuring an indoor swimming pool, vitality pool, amphitheatre sauna, ice fountain, marble heated loungers and private sleep pods.